This little Monster able to make a cool Club and Rock injections in ur track )))!!! Absolut der geilste Kompressor den es Gibt !!!!!! This plugin is the best by far with modern character for drum buss or bass and vocals too! Never took the time to get to know this one. And I don't miss it. Very tight, easy to use compressor. The presets are killer, truly a unique piece of gear. Der mpressor bietet nahezu unendlich viele Soundvarianten durch super Schaltungen und nicht zuletzt durch die den EQ. Bisher macht er auf allen Audioquellen einer super Figur und auch interessante Sounddesigns lassen sich erstellen. Er macht einfach Spaß! fat and flexible. one of my favorites on tracks. the reason i give 4, not 5 stars is absence of mix/dry knob. that knob would make this compressor iconic. So good that I bought the hardware. The Swiss knife compressor, excellent on guitar, piano, Rhodes, Bass and even on the orchestra and certainly on other instruments. I don't use it for sound design but with low ratio with 4 or 6 db of gain reduction with "GR Limit" at 4 db and a subtitle "EQ Gain". This compressor can be seriously fast. I love it for clamping down and distorting drum transients in parallel. The release times can also be very fast, but the curves are always musical. The negative ratios and exp release offer more creative sounds which can be fun too. There is some aliasing when using more extreme settings, but I really couldn't care when it sounds as great as this plugin does! 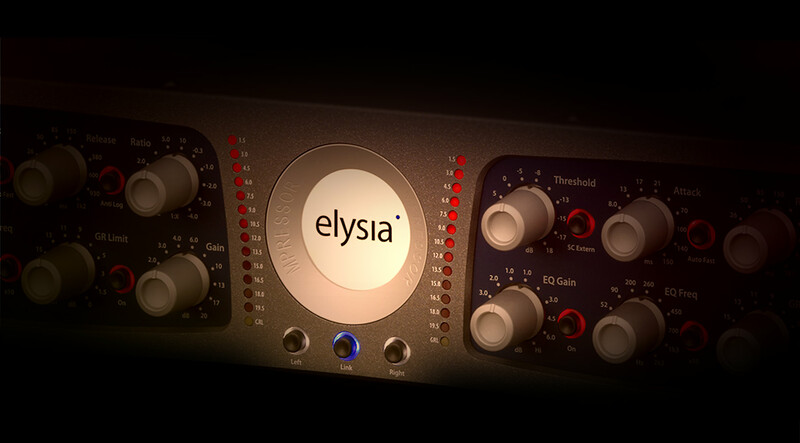 The Elysia.mpressor is a great tool to give drums much more power. It also has very useful functions for creative sound design, (e.g. the eq gain/freq knobs). This is a very colorful and musical compressor. I am glad I pulled the trigger on this one. Tweakable predictible behavior. Good sound and vibe. Put a texture on the signal that is totally different from what I have ever heard. Great sound. A strong compressor with a lot of power, so a little goes a long way. First impressions... Punchy, clean sounding with many options to get the sound you're looking for.